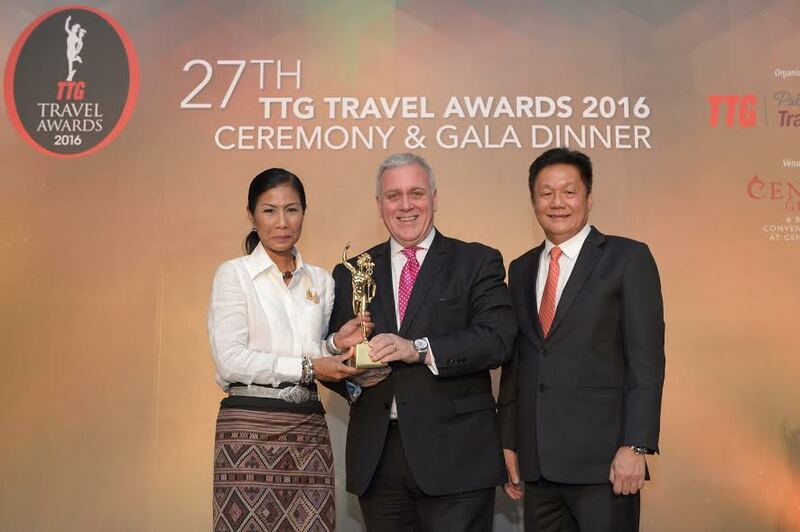 Etihad Airways’ Vice President for Australia and Asia Lindsay White (centre) accepted the TTG Asia ‘Best Airline – Business Class’ award from Her Excellency Kobkarn Wattanavrangkul, Minister of Tourism and Sports Thailand (left) and Darren Ng, Managing Director of TTG Asia Media at the 27th Annual TTG Travel Awards 2016 Ceremony and Gala Dinner in Bangkok. “Being voted ‘Best Airline – Business Class’ for the second consecutive year is testament to the tremendous support we receive from the travel industry throughout Asia Pacific. Etihad Airways offers the Asia Pacific travel trade a range of educational, sales support and reward and recognition programmes. These include a dedicated travel trade portal, a rewards-based incentive programme called ‘SuperSeller’, travel agentfamiliarisation trips and other localised trade marketing programmes.